Whether you want to freshen up the tired paint on your home and bring some new zest to your outdoor décor, or need a gleaming, crisp coat of paint to finish a newly constructed house or other building, Top Touch Painting Services stands ready to meet your needs today. Skilful application, proper choice of finishes and paint formulas to ensure durability, a dedication to professionalism and honesty, and fast, affordable service you can rely on are all hallmarks of our company. 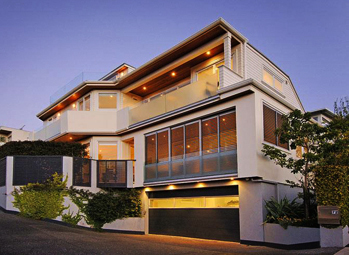 Residential, commercial and industrial painting, both interior and exterior, all lie within our sphere of expertise. We can put a fine quality, attractive coat of paint on anything from a decorative garden gazebo to an entire sprawling factory complex, or anything in between. 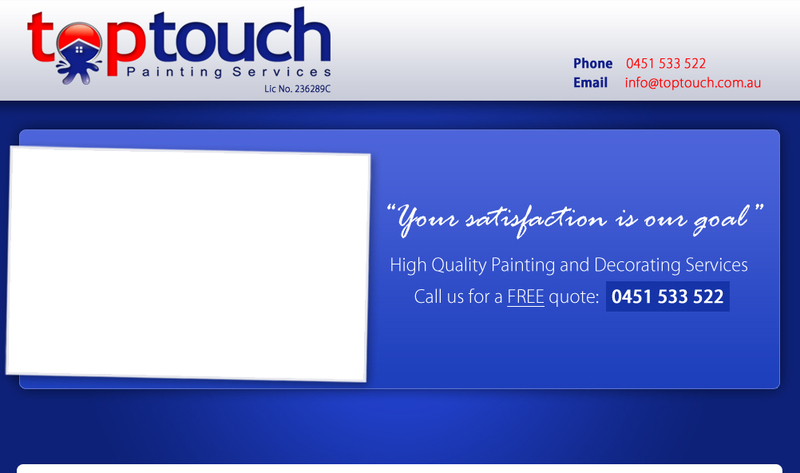 Please give us a call today on 0451 533 522 about your painting project, and talk with one of our friendly, helpful professionals! Or visit our About Us page for a more detailed view of who we are and the cutting edge service that we provide for you – a mix of traditional attentiveness to the customer’s needs and timeless pride in craftsmanship, with the latest paint technologies and techniques.